New Zealand’s two main islands are like fraternal twins with so much in common yet markedly distinct from one another. North Island possesses natural geysers and thermal springs around Rotorua, the subterranean Glow Worm Caves of Waitomo, and the exquisite Bay of Islands, with its miles of deserted beach landscapes dotted with boulders. South Island, which is a UNESCO World Heritage Site, boasts some of the most impossibly beautiful scenery… rugged mountains, glaciers, fjords and waterfalls. North Island produces fine wool products while South Island is gaining an international reputation for its vineyards. The cities are equally distinctive: from the Art Deco city of Napier, to the casually elegant Auckland, to the adventurous township of Queenstown. The ancient culture of the indigenous Maoris is found throughout New Zealand. Enchanting cities, wide-ranging adventures and extraordinary panoramas create a kaleidoscope of opportunities that allows each traveler to craft a personal, once-in-a-lifetime journey to this absorbing destination. Enchanting cities, wide-ranging adventures and extraordinary panoramas create a kaleidoscope of opportunities that allows each traveler to craft that once-in-a-lifetime luxury tour to New Zealand. The sky is marble grey and strong winds poke at me. I am looking down at the slender stretch of beach below the cliffs of Cape Reinga. I watch waves, white and frothy, pile up one upon the next onto the firmly packed sand. I stare intently at the dark blue waters farther out, seeking the exact place where the Tasman Sea melds into the Pacific Ocean. The Maori call this sacred place Te Rerenga Wairua – the leaping off place of spirits. In the old Maori traditions, this is where the spirits of the dead begin their journey to the afterlife. They jump off the headland to grab onto the roots of an 800-year-old tree. They climb down these roots to descend into the underworld, where they finally return to their traditional homeland. This is the Spirits’ Pathway. The wind strengthens and rain comes. I could swear I see something moving in the mist, moving toward the leaping off place. This distinctive Australia and New Zealand exploration takes you into Australia's cities from iconic, sophisticated Sydney to Melbourne with its mix of Victorian and contemporary architecture, trams and boutique shops. Enjoy a jaunt to Kangaroo Island to discover the vast wilderness of Flinders Chase National Park. 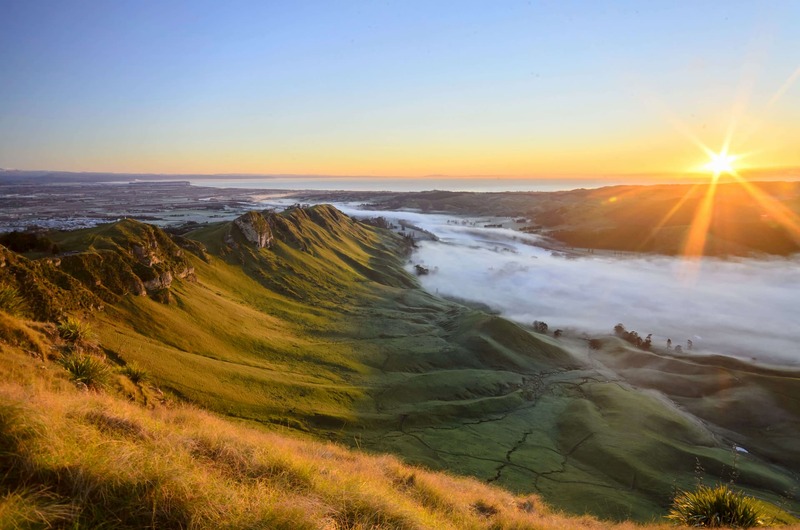 New Zealand's stunning islands encompass the South Island's beautiful Christchurch and continue to Queenstown, where you savor a hot air balloon with views of the Southern Alps. North Island's Rotorua is a thermal wonderland is one of New Zealand's most colorful volcanic areas. Stay in some of the most exclusive and luxurious lodges in the South Pacific that offer adventures ranging from star gazing, to jet boat journeys, to trekking and wildlife viewing. Discover the magnificent Bay of Islands and delve into all that nature has to offer in this island nation. Hike the dramatic coastlines, swim with dolphins, golf at championship courses, sky dive, fly high in a hot air balloon, heli-surf, and more. Adventures abound on New Zealand's South Island, where you explore pristine lakes and the spectacular landscapes of Milford Sound, one of New Zealand’s premier attractions. Go trekking, mountain biking and enjoy dolphin encounters. New Zealand’s two main islands are like fraternal twins with so much in common yet distinctly different. From North Island's thermal regions to South Island's magnificent fjords, New Zealand offers adventure for everyone from heli skiing to wine tastings to sailing to Maori culture. Jump off the tallest building in Southern Hemisphere, careen down a river in a jet boat, and experience aerial acrobatics in a vintage bi-plane.